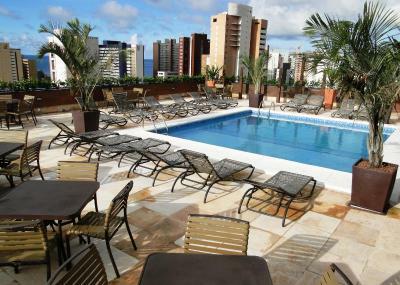 Lock in a great price for Hotel Praia Centro – rated 8.3 by recent guests! Cleidiene is the best housekeeper. She was very professional, attentive, friendly and thorough. I will always ask for Cleidiene! Meet all of my expectations and the room was quiet. Nice size room, with a great view! And the swimming pool was always open early in the morning. Achei tudo muito bacana, de uma próxima vez ficarei com você novamente. Muito obrigada por tudo. Café da manhã é espetacular, tanto quanto às opções de comidas e bebidas oferecidas, quanto em relação à equipe, infraestrutura do restaurante, e também pela vista panorâmica da cidade que o restaurante oferece. Ficar hospedada no hotel do congresso. Café da manhã farto. Café da manhã muito bom, variado e gostoso. Boa localização. Serviço bom. 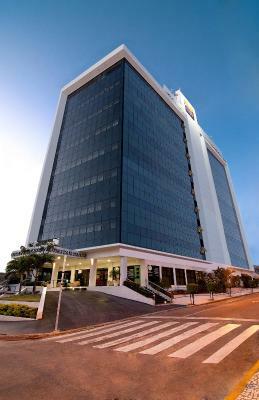 Hotel Praia Centro This rating is a reflection of how the property compares to the industry standard when it comes to price, facilities and services available. It's based on a self-evaluation by the property. Use this rating to help choose your stay! 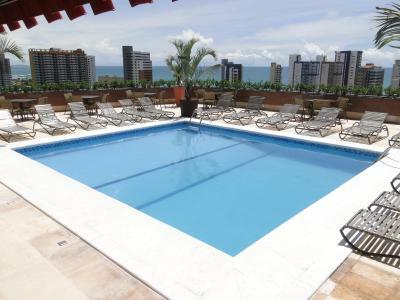 One of our top picks in Fortaleza.Just a few steps from Iracema Beach, this hotel features a rooftop pool and a modern gym. At the pool bar, guests enjoy beautiful sunsets and views of Fortaleza's coastline and Ponte dos Ingleses Bridge. 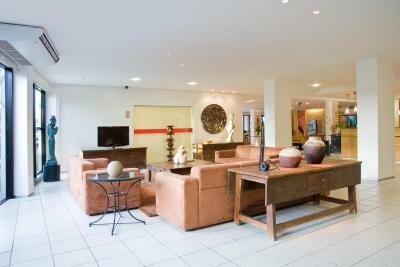 The air-conditioned rooms at Praia Centro Hotel are equipped with a flat-screen TV with cable channels, a mini-bar, a telephone and a safety deposit box. The private bathroom includes a shower and a hairdryer. You are welcome to savor the breakfast buffet served daily at the hotel, which includes a wide selection of fresh fruits, cold cuts, breads,cakes and hot and cold beverages. 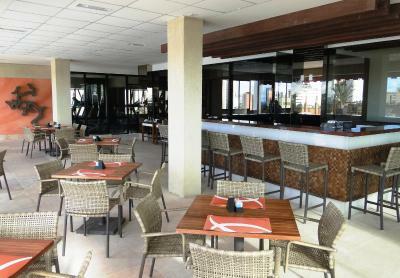 The on-site restaurant also offers lunch and dinner options, as well as international specialties. 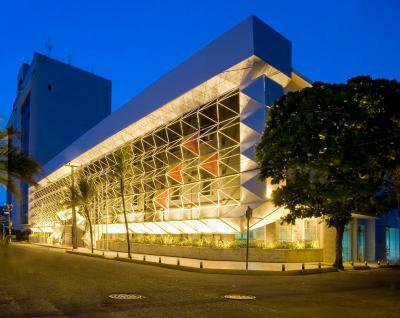 The Central Market, Fortaleza's Cathedral and Dragão do Mar Cultural Center are all located close by. 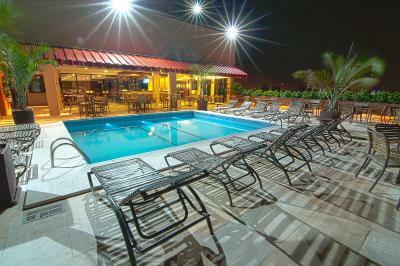 Lively bars and restaurants are found along Iracema Beach. 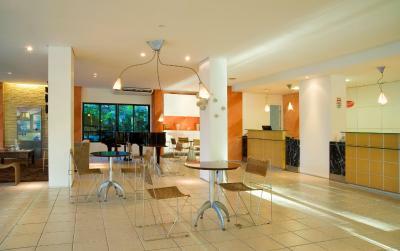 When would you like to stay at Hotel Praia Centro? This air-conditioned room features a flat-screen TV with cable channels, a mini-bar, a telephone and a safety deposit box. 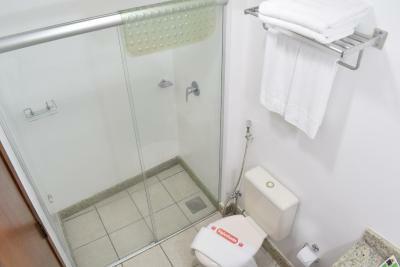 The private bathroom is fitted with a shower and a hairdryer. The desired bed type needs to be specified at the time of booking. 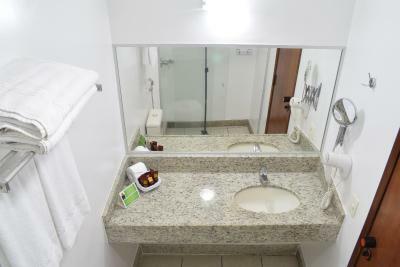 Private parking is available on site (reservation is not possible) and costs BRL 11 per day. Boasting sea views, this air-conditioned room features a flat-screen TV with cable channels, a mini-bar, a telephone and a safety deposit box. 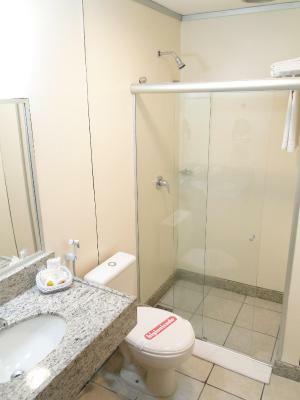 The private bathroom is fitted with a shower and a hairdryer. 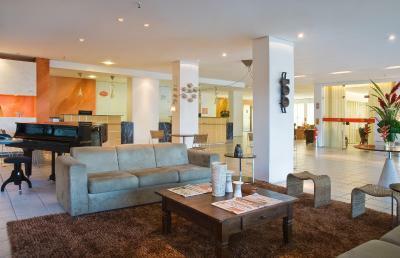 House Rules Hotel Praia Centro takes special requests – add in the next step! Hotel Praia Centro accepts these cards and reserves the right to temporarily hold an amount prior to arrival. 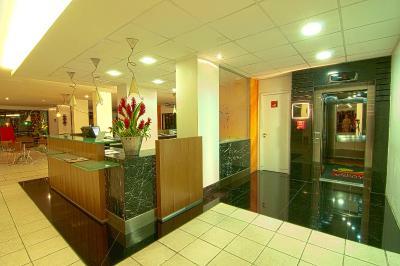 Please note that the credit card holder must be present upon arrival with the credit card used for the booking. If a third party credit card is used, a third party payment authorization form must be signed by the card holder. The signed form must be completed and returned to the property, alongside a copy of a valid ID document with photo. Please contact the property for further details. Some front desk staff were friendlier than others. Old and smelly room! Outdated! The AC was not working well in my room and when notified to staff they just ignored the comment. Must be a recurring issue then. 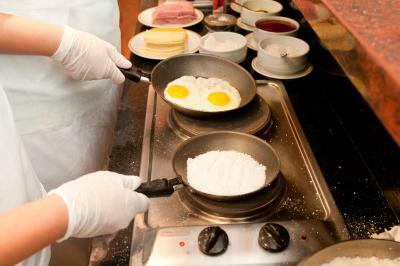 the breakfast is good !!! The aircondishion could work better.